When the maintenance team goes out of its way to treat you with respect, you know the organization has something special taking place. This truth was vividly illustrated for me recently while out on a run. I don’t usually run on rainy days, but because I was training for an upcoming marathon I faced the elements and ran one of my favorite routes. Stone Mountain Park, just outside Atlanta is an ideal place to run with rolling hills, well kept paths, and a touch of nature and suburbia. There are many routes to run within the park and on this day I choose the most popular—a 5 mile loop on Robert E. Lee Boulevard around the huge granite rock, better known as Stone Mountain. 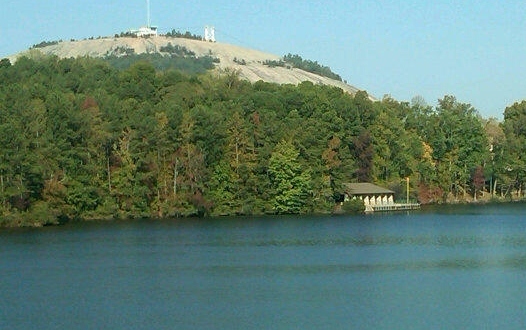 On a recent run in Stone Mountain Park I took a break to take this photo of the Big Rock. “Michael” is Michael Dombrowski. He is the Vice-President at Herschend Family Entertainment Corporation, (HFE), the company operating Stone Mountain Park. Prior to his corporate role at HFE, Michael was the Director of Human Resources at the park. I heard Michael recently as he addressed the HR professionals gathered for a meeting of the Human Resource Management Association (HRMA) of the Gwinnett County Chamber of Commerce. Michael began his presentation with this question: What do you measure when it comes time for employee appraisals? Referring to HFE, Michael shared “Fifty-percent of our leadership appraisals are based on love.” I doubt many of us at the meeting, even with our HR credentials, could say we worked for organizations where love was the focus. Nor could many, if any of us, tell of a dramatic turn-around story within our organizations like the one we were about to hear. Michael shared the story of how Stone Mountain Park went from an organization with guest ratings which were far from acceptable, to guest ratings with consistent superior scores. It wasn’t easy, but with specific and intentional effort they transformed the experience of guests at the park. As a result, today when you interact with the park’s employees you have an experience in line with other organizations such as QT, Publix Super Markets and Chick-fil-A who are known for their superior customer service. My observations have led me to believe customer service training is often reserved for front-line employees. For Stone Mountain Park, customer service training is obviously critical for the attendants at the park’s entrance gates, the employees operating the attractions and for the staff who continually interact with guests. Yet, what impressed me about the two workers removing debris from the roadway is they were not on the customer service front-line. At Stone Mountain Park it is obvious there is a culture of treating guests with kindness and respect and it is a culture that permeates all segments of the workforce. Speaking of his experience as Director of HR at the park, Dombrowski shared seven steps to harnessing the power of culture. These seven steps were part of the process of transforming the park and making it a profitable business while also providing a greatly satisfying experience for guests. Each of these steps is rooted in love—the love described in the Apostle Paul’s “love chapter” in the Bible, (I Corinthians 13). Accountability: “No accountability,” he states, “equals no results.” The park has a unique approach to discipline where the employee has to write up their own improvement plan and commitment to correct wrongful behavior. Training: At the park, training goes beyond the simple requirement to be clear. Here training must also entertain, evoke emotion and imbue meaning. Coaching: Training without coaching is fruitless. Therefore, at the park training is reemphasized through coaching. Assess & Measure: “Inspect what you expect.” The park utilizes a Mystery Guest Program to assure employees are applying what they have been taught. Recognize and Reward: It’s not enough to recognize or reward employees. At the park there is an emphasis on both. Selection: Do you have the right people? In recruiting new employees, the park fishes in a different set of youth organizations which are more likely to be made up of young people with values shared by the park and who exercise discipline and responsibility. Most CEOs can’t tell you whether their culture is strong or weak. They know culture is important but they can’t measure it. At Stone Mountain Park they can measure it. They measure it via guests’ ratings and profitability. And what they find is rewarding. Customer service is more than a façade; it is a part of the organizational culture. 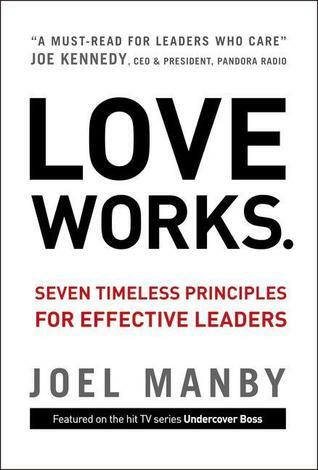 For more information about HFE and their focus on love, I recommend reading HFE’s CEO, Joel Manby’s Love Works. In the comment section below tell others where you found superior customer service permeating the whole of an organization? What steps were a part of making it happen? Brilliant stuff Jack. You presented the material in such a fashion that I am dying to hear more about HFE and their HR programs. Very few organizations I deal with seem to have such a strong institutional culture, and I think we all could learn from them. For example, I wonder how HFE’s culture permeates the recruitment & hiring process? I have worked close to some very “different” organizations who portrayed an image like this through marketing, but when you peered behind the scenes to the core functions that could deliver on that marketing promise, there was little there.